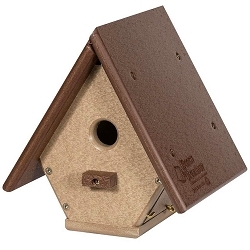 Provide a comfy nesting spot for your feathered friends! 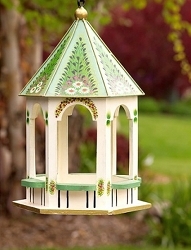 Hand painted iron and wood. 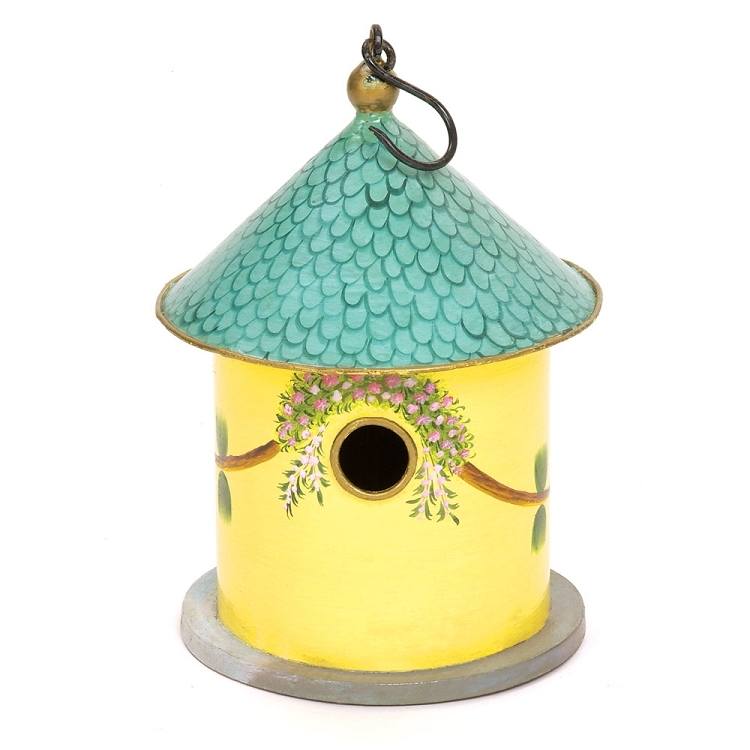 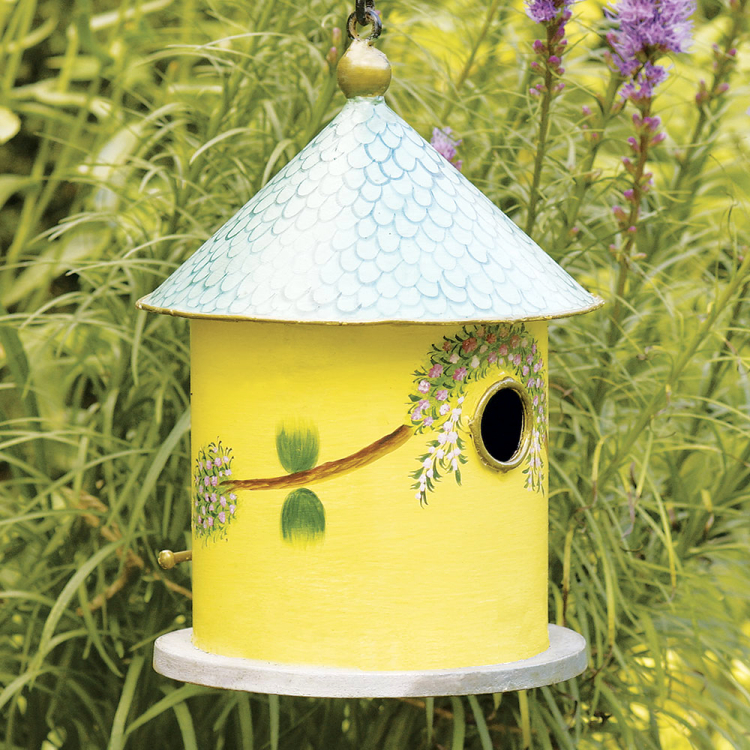 This nostalgic birdhouse is colored a lovely shade of yellow with a decorative vine and floral trim and a beautiful teal shingled roof. 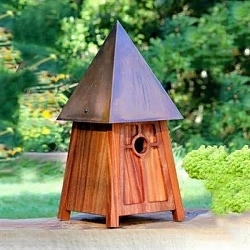 What a beautiful, functional accent for your outdoor decor! 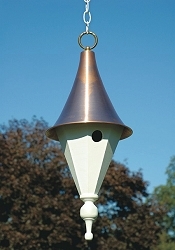 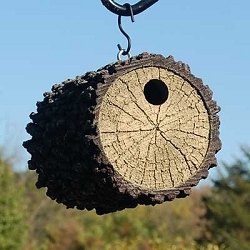 The 1-1/2" diameter entrance hole is perfect for bluebirds, wren, chickadees and other small nesting songbirds. 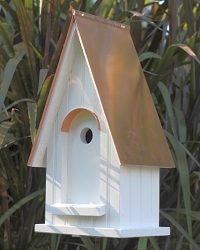 Hinged back door for easy cleaning and viewing. 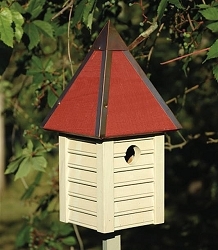 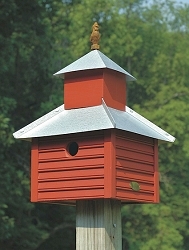 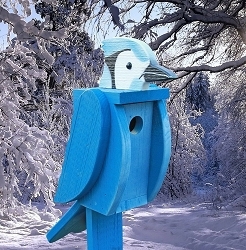 The Bastion Birdhouse makes a wonderful gift for the backyard birding enthusiast!